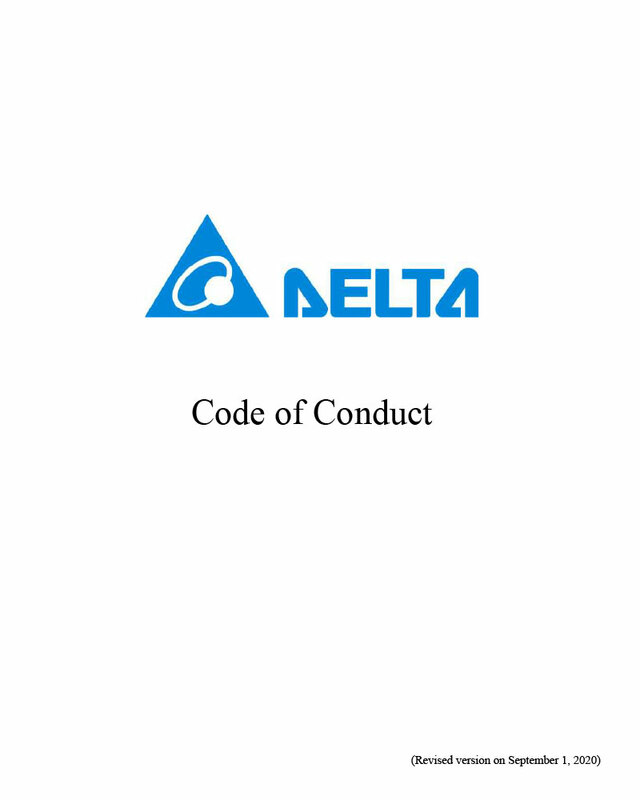 ﻿ Code of Conduct | Delta Electronics (Thailand) PCL. Delta Electronics (Thailand) Public Company Limited outlines a policy for directors, management and employees at all levels to conduct business with honesty and integrity by strictly complying with Delta’s code of conduct. All employees must study to gain an understanding of and follow the Code of Conduct that is approved by the Executive Chairman of the Board, directors, and management. All new employees at every level are required to be trained in ethics to perform company operations at their orientation. Directors, management and employees may seek advice regarding the Code of Conduct from the senior legal manager, who not only provides advice but also monitors compliance with the Code of Conduct.